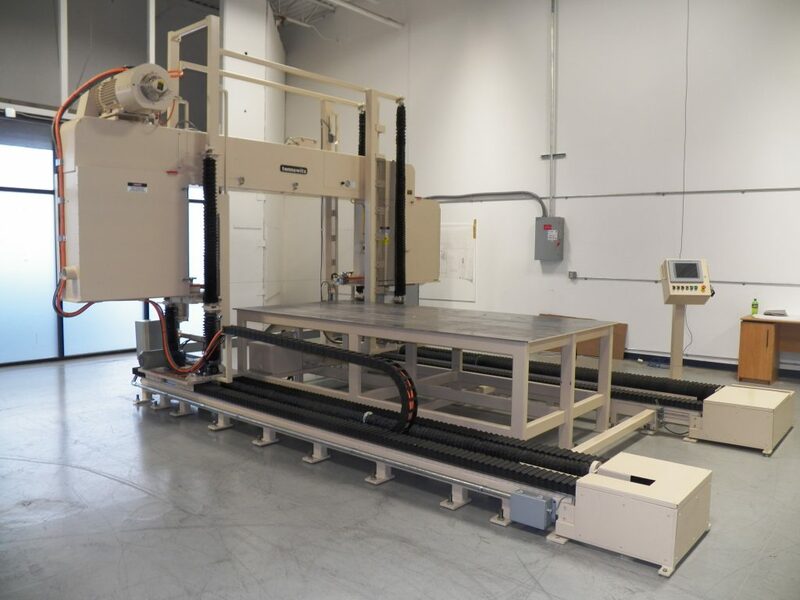 Tannewitz introduces the model 36MH70 horizontal automated traveling head honeycomb bandsaw. Features include fully programmable indexable PLC, saw head vertical travel of 34” with +/- .002 repeatability, head tilt adjustment of 0-30 degrees, hydraulic blade tension, 15hp variable speed drive motor with blade speeds of 4,000-8,000 SFPM. Please call (616) 457-5999 for further details.